Mix Marinade and Coconut Milk. Add in chicken. Marinade 5-6 hours. Cook however you’d like (Grill, Skillet, Oven- We did Oven. Covered with Foil. Baked 450 for about 35 minutes). Top with WARMED Sauce (I microwaved about 30 seconds). Notes: Eat this alone. Or, Over rice (Cooked in broth). Wanna go an extra mile?! 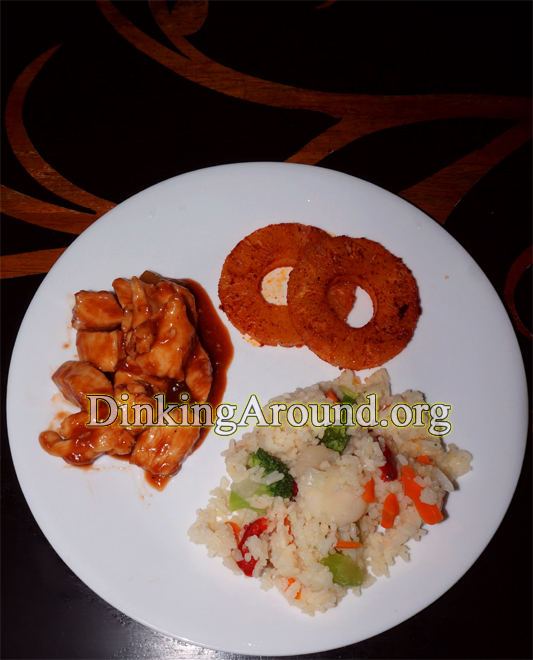 : Marinaded Chicken Above can be breaded, and served topped with sauce. Mix Cornstarch (Or flour) with Coconut Flakes. Dip in beat Eggs. Then back into Cornstarch/Coconut mixture. Fry in Oil, browning each side. Bake in preheated oven, 450, for about 12-15minutes… Til cooked. Top with Sauce. Or use as dipping sauce. Premix sauce. Set in fridge. Rice: Add rice, crushed broth cubes, and recommended water to microwave safe bowl. Cover, microwave rice recommended time. Keep cover while you cook enough the vegis to warm. Mix into rice. 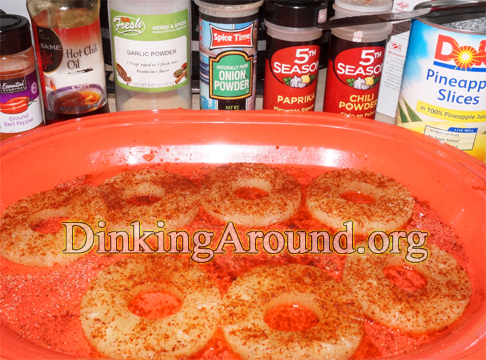 Leftover Pineapple Rings: Sprinkle one side with Chili Powder, Garlic Powder, Paprika, Onion Powder. Flip over pineapple and season other side with just Chili Powder and LIGHT sprinkle of Cayenne. Heat skillet. Add in about 1-2tsp Hot Chili Oil. Fry each side of Pineapple Ring. Can GRILL. Maybe LIGHTLY wipe each with hot chili oil, before seasoning! *Other options: Try adding Sweet Bell PEPPERS (Red, Green, etc.) 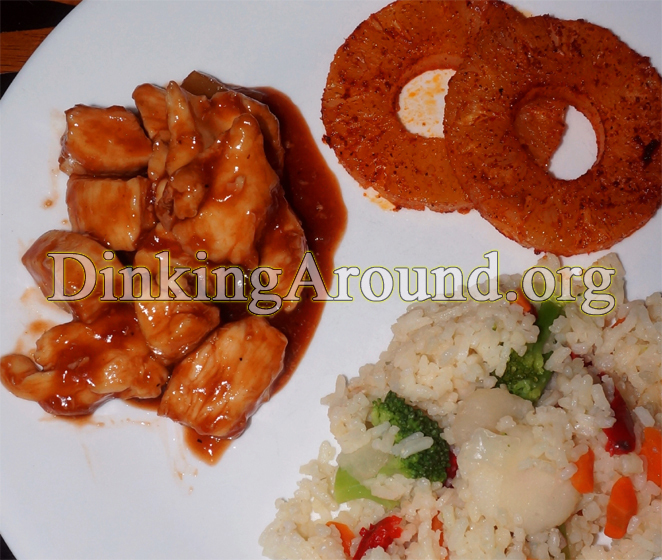 and ONIONS to Hawaiian BBQ Chicken! Shredding Chicken and having yourself some BBQ Chicken Sandwiches!!! I’m sure Crock pot works, as well. (Your preference). Also, try Grilling Chicken/Legs/Wings and tossing with Sauce! Many ways!